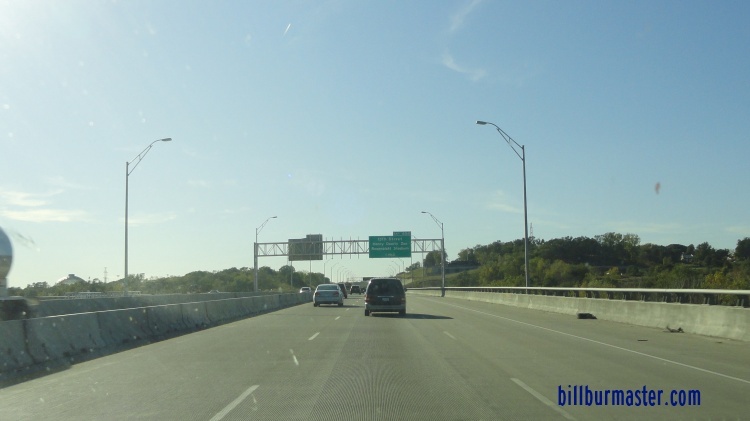 Interstate 80 is the longest interstate in Nebraska. 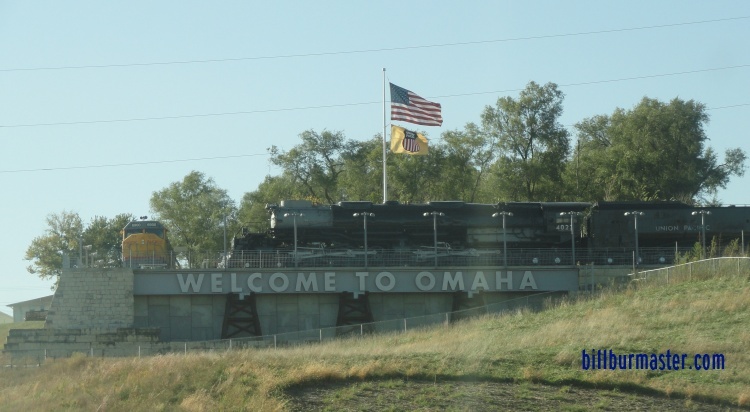 This runs from the Iowa/Nebraska State Line at Omaha to Wyoming/Nebraska State Line, near Bushnell. Through most of the state, U.S. Rt. 30 runs along the highway. 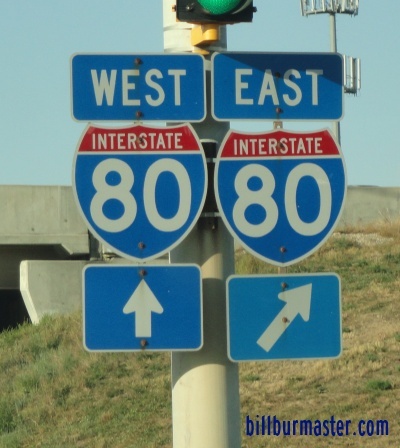 While in Nebraska, I-80 is multi-plexed. ...U.S. Rt. 77, at Lincoln. 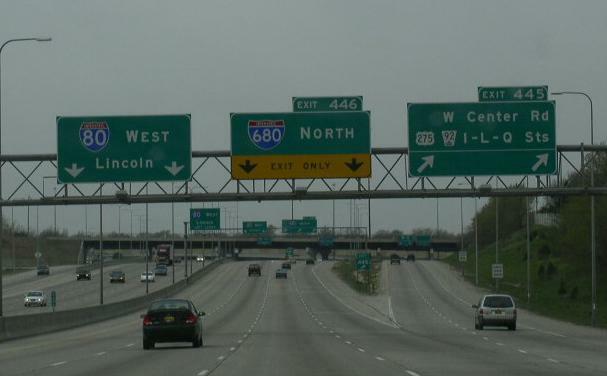 Interstate 80 crosses the following interstates in Nebraska. 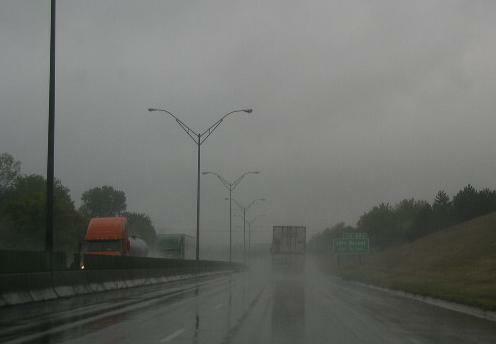 Interstate 76, near Big Springs. WB I-80 2 miles from I-680. Overhead BGS on WB I-80 1 1/2 miles from I-680. 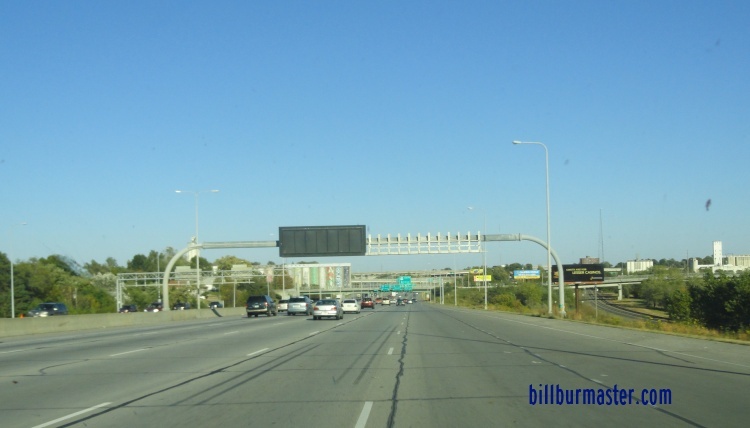 Another set of overhead signs on WB I-80. 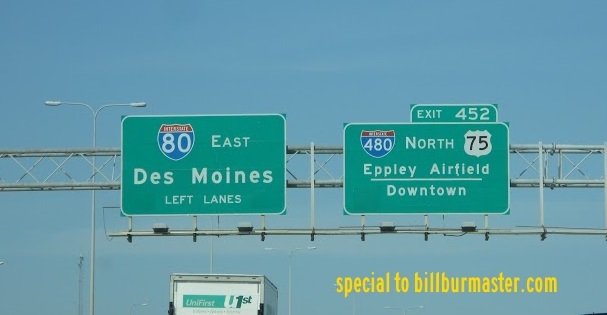 EB I-80 one mile from I-480/U.S. Rt. 75. 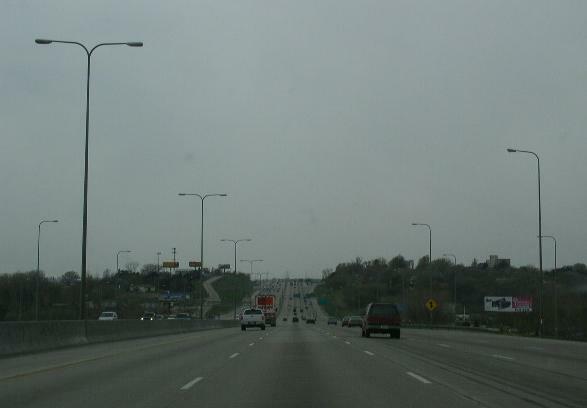 A BGS on WB I-80 for I-480/U.S. Rt. 75. 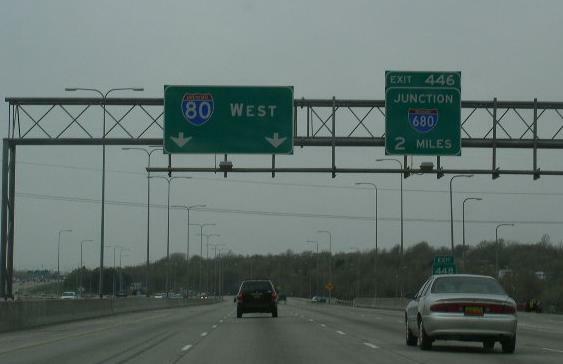 EB I-80 near I-480/U.S. Rt. 75. 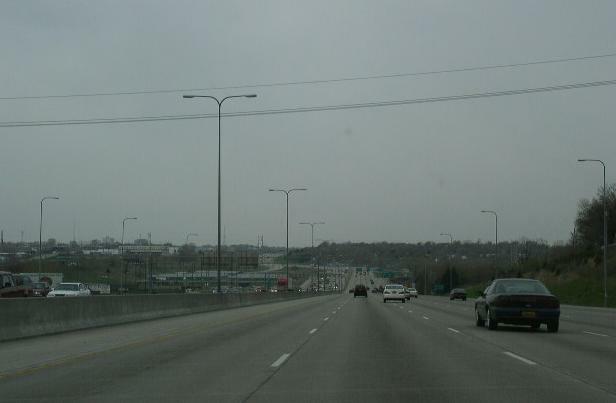 A set of BGS on EB I-80 at I-480/U.S. Rt. 75. 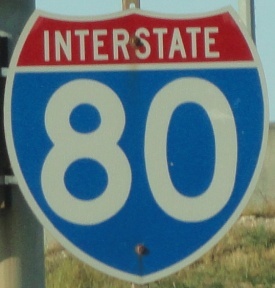 Branches of I-80 in Nebraska. 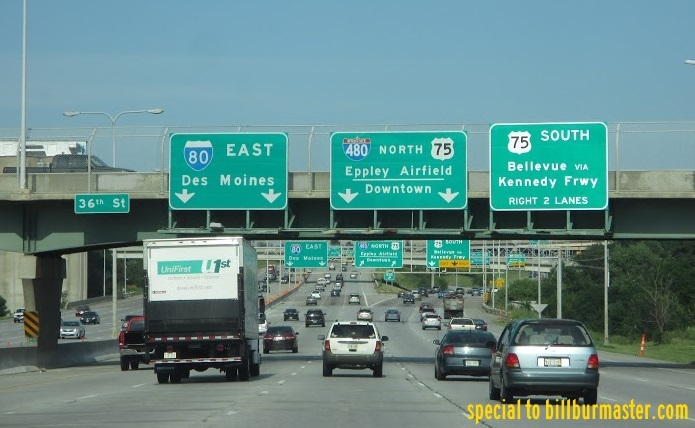 WB I-80 at the Iowa/Nebraska State Line. 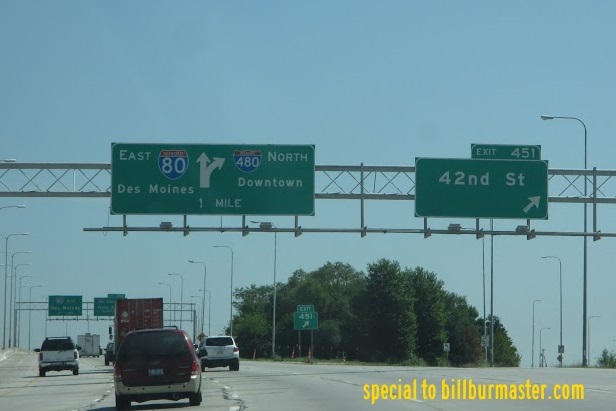 The welcome sign on WB I-80. 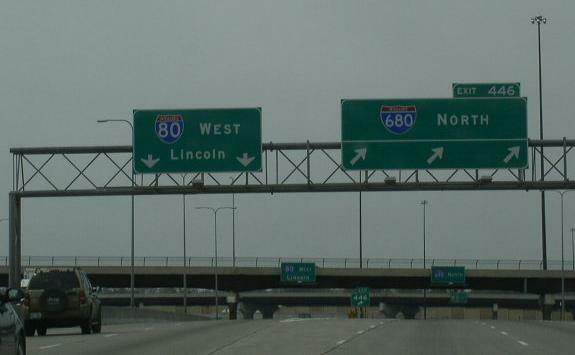 The last BGS on EB I-80 in Nebraska. 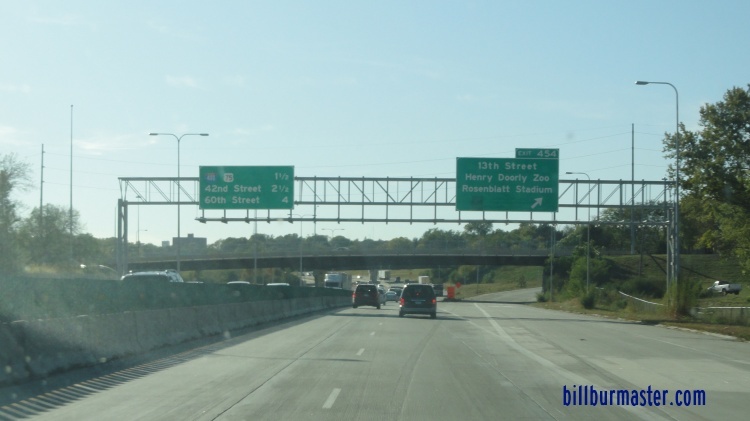 WB I-80 near 13th Street. 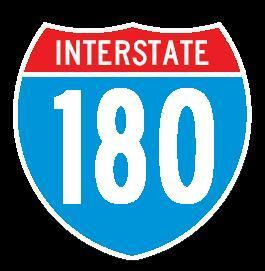 WB I-80 near the Nebraska/Iowa State Line. 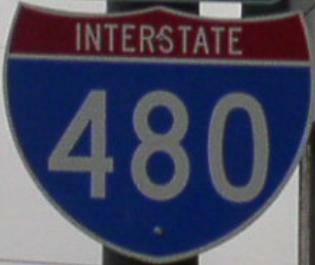 Mileage sign on WB I-80. A BGS on 42nd Street in Omaha. 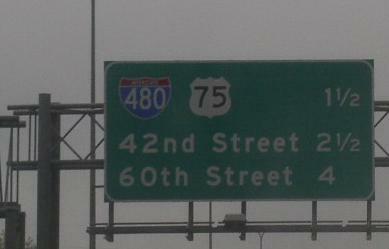 A guide sign on 42nd Street in Omaha. 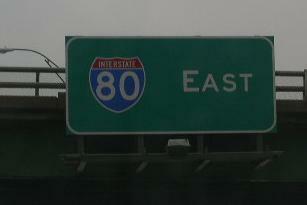 EB I-80 near 40th Street in Omaha. 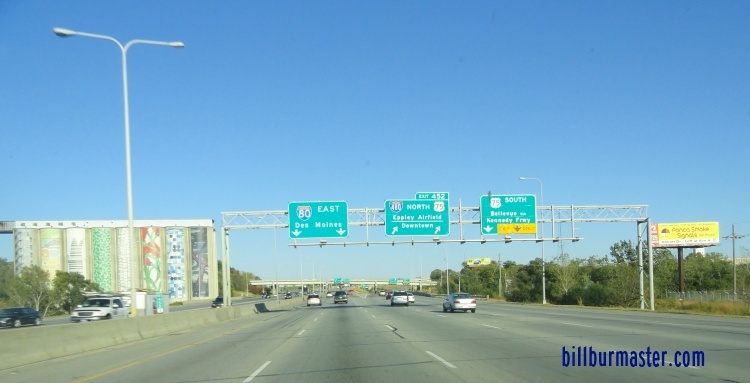 WB I-80 near 50th Street in Omaha. 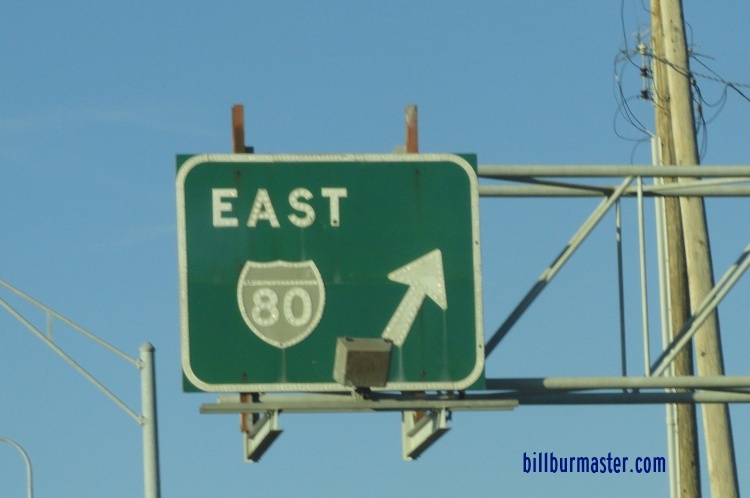 WB I-80 near 84th Street in Omaha. 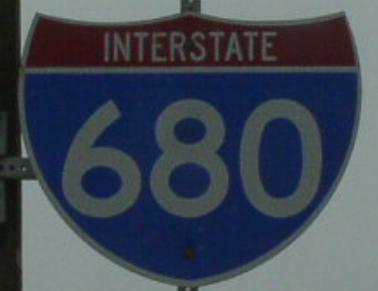 BGS on a C/D lane from SB I-680 to WB I-80; U.S. Rt. 275; NE St Rt 92.